Marxism lives because we have not gone beyond the circumstances that created it. Months after its release, Thomas Piketty’s Capital in the Twenty-First Century is still getting praised in reviews and sitting near the top of bestseller charts. If the invisibility of a system is a marker of its ideological success, this can’t be a good sign for capitalism. It’s no surprise that people are curious about the causes of the injustice that surrounds them. Average workers’ wages in the US have fallen sizably from 2007 to 2012; in the same period, over 90 percent of all new income went to the top 1 percent; while around 46 million Americans live in poverty, the gap between corporate profits and workers’ wages has never been greater. Piketty’s conclusion that capitalism, if left unchecked, generates a concentration of wealth among a tiny minority sits well with this lived experience. Merit or hard work, the standard justification for inequality, has little to do with our new gilded age. Though he distances himself from the old man, Piketty’s analyses have been aligned in a certain sense with those of Marx. Not surprisingly, the response to the book has revealed some central misconceptions embedded in critiques of Marxism. Here it becomes clear that invisibility is not the only weapon in the ideological arsenal of capitalism. The first line of right-wing defense is denial, with some variation on the contention that the state of the economy is fine, thank you. There may be inequality, as Scott Winship or Kevin Hasset would argue, but it’s not actually harmful. They are drawing on the ideological conviction that capitalism left to its own devices rewards the meritorious and is beneficial not just for capitalists but for everyone. Unfortunately for them, Piketty does not simply make a counterclaim; he demonstrates with irrefutable data that the cherished faith in this dual doctrine of capitalism — of the natural and just creation of a meritocracy whose resultant inequality benefits all — is simply false. This is why what Paul Krugman calls the “Piketty panic” sets in, and they move to the second line of defense. Easy leftist dismissals of such idealistic positions are not necessarily helpful. The reason arguments disavowing the connection between money and happiness have such a lasting appeal is because there is a kernel of truth to them. The realization of human potential and happiness is much more intricately connected with creativity, art, science, myriad cultural practices, and forms of solidarity and community rather than materiality. But here’s the thing — Marx would wholeheartedly agree! 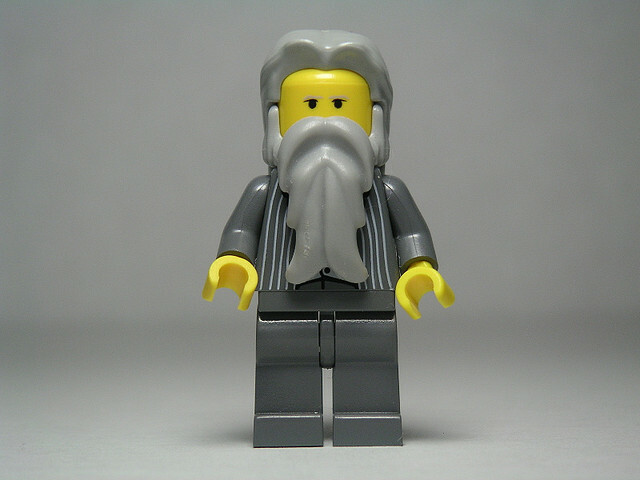 The moral power of Marx’s work doesn’t just derive from its systematic demystification of capitalism; it also flows from his insistence that capitalism cannot generate the conditions for human flourishing. He never equated material well-being with happiness, but he knew that there can be no happiness without material well-being. The crime of capitalism is that it forces the vast majority of the population to remain preoccupied with basic concerns of nutrition, housing, health, and skill acquisition. It leaves little time for fostering the community and creativity that humans crave. And the injustice of capitalism is that it does so in an era of plenty. There are enough resources to ensure basic material satisfaction for all, but capital mandates that those resources do not benefit the great majority. Further, those same resources have been generated by the hard work of the population that is denied its benefits. Marx demonstrated that there was no moral or practical justification for the concentration of wealth in the hands of a tiny minority, and Piketty shows that is still the case. So when right-wing ideologues pronounce the need for “love and joy and friendship” or of “forms of solidarity that give meaning to life,” they don’t get that those are precisely the kind of social visions that will always be under threat within capitalism. Even in some of the more progressive readings of Piketty, there is a curious convergence with the Right in their animosity to Marxism. In Timothy Shenk’s tortuous review in the Nation of Piketty and other “millenial Marxists,” he acknowledges that the economic crisis caused a resurgence of interest in Marxism, but holds that we need to “rethink Marxism, or move beyond it.” The main tenet in this tired critique is that the Marxist perspective lacks complexity. While breezily dismissing the labor movement because it seems “trapped in perpetual decline,” Shenk reserves his ire for the young followers of Marx who came of age in the new century. Occupy activists and leftist thinkers and journalists writing in forums like Jacobin are mocked for “using conventional Marxist tropes” and exploiting the easy reach offered by technology to spread their political message. Their commitment apparently is light, but it’s “easier to share, maybe with a post on Facebook.” So Shenk ridicules them both for their old-world faith in the possibility of a “rebirth of Marxism” as well as for their facility with new media. The problem is Shenk never dismounts his ironic high horse to illuminate why Marxism (or the internet) is a problem. Shenk is certainly not the first one to wag his finger at young radicals for their lack of interest in “ambiguity, uncertainty, and difference,” for ignoring the “contingency” of social life and such. All these are now watchwords on the faux Left, which they use as cudgels against Marxists. Maybe the reason young radical thinkers are not impressed by pleas to recognize “ambiguity and contingency” is because what they have seen in their lifetimes is a lesson in some pretty unambiguous facts about how capitalism works. Even rock-ribbed neoclassical economists are coming around to the view that forty years of stagnant wages might have something to do with the attack on unions; that the decline of the labor movement in turn accelerated the shift to the right in politics; that this shift in turn led to a pretty successful evisceration of what little social support the state gave to the poor; that when the mad rush for short-term profits finally drove the economy into the tank, the state returned the favor by passing off the costs to the public and handed over trillions of dollars to the banks. There was no contingency or ambiguity in any of this. It was a quite predictable result of a highly successful class war that transferred political power firmly over to elites. This is what capitalism looks like when the class struggle turns ugly. When self-styled progressives preach the gospel of contingency and ambiguity in times like these, is it a surprise that people turn to Marx for a little clarity? Of course, Marx has something to offer not only in times of crisis. Marx’s whole point was that crises only bring into clearer relief the instability and power dynamics built into capitalism. Periods of economic crises do not generate but are caused by the economic and political contradictions of capitalism. The obscene concentration of wealth in the two decades preceding the 2008 crisis shows that there is no mechanism to push for a sustainable, let alone fair, allocation of resources within capitalism. Liberals’ deflated hopes in President Obama are reminders that any political entity, regardless of its assertions of autonomy, that directly or indirectly relies on capital must capitulate to capital’s logic and interests. A viable challenge to capital must derive from a different source of power — through organizing those that capital victimizes. In class society, class struggle is imperative. By his own admission, Piketty is no Marxist. Early on in the book, he writes of being “vaccinated for life against the conventional but lazy rhetoric of anticapitalism” which largely remained oblivious to the historic failure of Communism. Piketty’s own economic analysis shows that an anti-capitalist stand need not be a lazy one. His political stance, unfortunately, is conventional in its expressed need be considered non-Marxist. Piketty must know that the failure of Communism has little bearing on today’s Marxist political and economic critique of capitalism. Soviet flaws have hardly any resonance for the workers of Rana Plaza. What the experience of those workers does confirm is capital’s baldly exploitative character and capital’s political power which makes it incredibly difficult for the workers to organize and fight back. And that logic on display at Rana Plaza is intricately connected to public sector workers’ experience in Wisconsin and to the disenfranchisement of workers everywhere. Piketty recognizes that the unfettered operation of capital calls for strong counter mechanisms, but he shies away from political confrontation. He proposes “confiscatory taxation” as a way to combat the tendency towards massive inequalities. A useful idea, but any proposal that requires a just redistribution of resources will never work without organized struggles challenging capitalist power. Perhaps it takes wars and economic crises to usher in a transformation of the political basis of power, as Piketty suggests. But even in those cases, it is not the events but the resultant mass movements that caused the changes. Piketty advocates for “democratic deliberation” and accessible, quality education; these are undoubtedly worthwhile goals, but by themselves they can never remedy the ingrained power imbalance in capitalism. For that, our only hope are organized movements that are grounded in an alternative source of power. Like Doug Henwood, I too am hopeful that a new generation who “missed the anticapitalist vaccination” will mobilize Piketty’s analyses towards the construction of an insurgent political culture. The future depends on it.